Sue completed The Grid, making her the first woman to do so! She was accompanied by Larry Labonte, Mike Distefano, Andy Fay, Tom Wilkins, Steve & Deb Tucker Pero, Bob Williams, Scott & Patty Beavers, Ed Robertson, and Hal Rhubart. To see Sue's Grid click here. 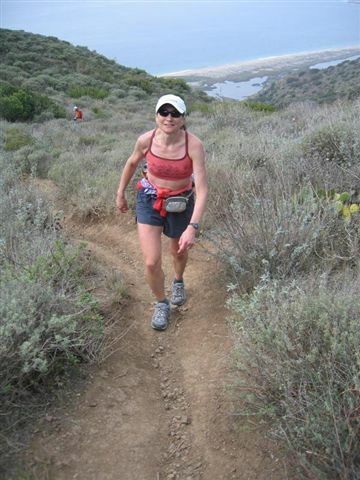 Below you will find a list of some of her other hiking and running accomplishments. 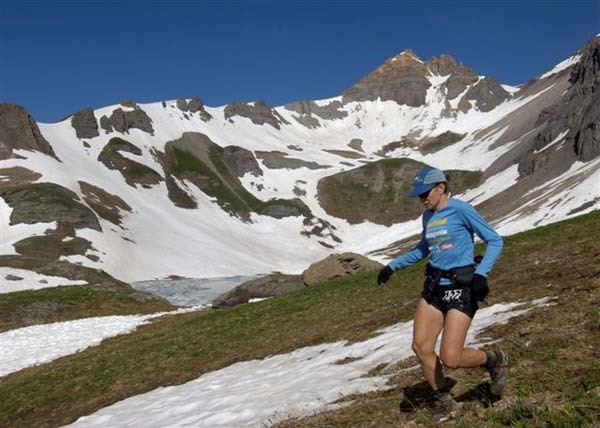 Along with Bob "Frodo" Williams, first to attempt and successfully achieve a NH 4 winter record between 12/26/03 and 1/06/04, finishing on Waumbek in 10 days, 22 hours, 37 minutes. 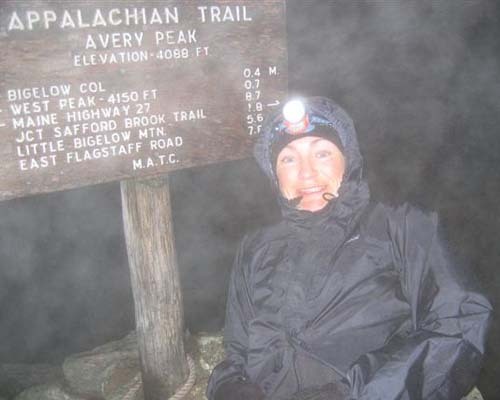 The above record was later broken, but between 3/10/10 and 3/18/10 Sue returned to the Whites to regain the women's record rehiking all 48 peaks in 8 days, 4 hours, 2 minutes. Completed The Grid in a "Single Calendar Year" on December 26, 2016 on Mount Isolation. For an article posted by the North Star click here. US Highpoints -- Completed, except for last 400 ft. on Denali. She calls it her 49.98 highpoints. 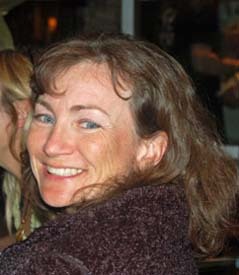 Appalachian Trail end to end, thru hike -- 3/26/94 to 8/18/94 - She says this is the best thing she ever did! John Muir Trail end to end x 2, summer 2007 -- Current overall (male and female) record: 3 days, 15 hours, 32 min. Time has been bettered by four guys now, but Sue still has the fastest known women's time. Rehiked Vermont's Long Trail. July 17-28, 2010. Subtracting the 3 days in the middle that she spent with family, she did it in 9 days. 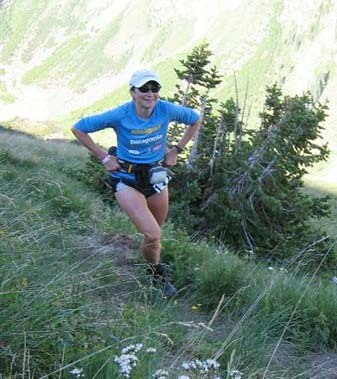 She was previously into ultrarunning and has completed 25 hundred milers, including Colorado's Hardrock 100 three times (two wins). Her 100-mile PR is 16:51. 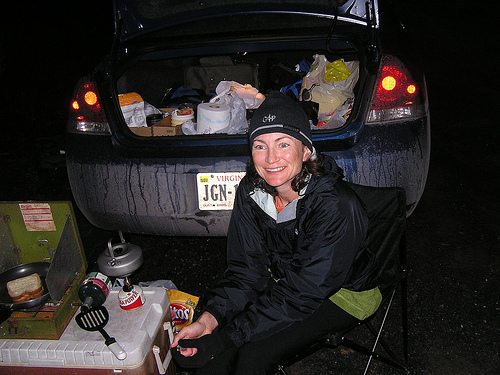 She has done a bunch of 50 milers with her very first the 1992 JFK 50 in Maryland. Her 50-mile PR is 7:19. Here are a few pictures of Sue in action.